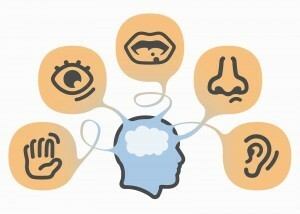 If you experience anxiety then a simple exercise that can help is the five senses exercise. Work your way through the senses one by one: Sight, Sound, Smell, Taste and Touch. Experiment with what you observe and immerse yourself as deeply as you can in the experience. If you get distracted by your thoughts or unpleasant sensations allow them for a moment then gently bring yourself back to observing. Play with it a bit, for instance with sight, what colours can you see? What shades of light and dark? With Sound what do you notice nearby or far away? Continue like this until you have spent the last minute: How does the air feel on your skin? How warm is it? Finish by taking another deep breath and feeling your connection with the ground or chair. This entry was posted in Blog articles and tagged anxiety exercise, five senses exercise on September 11, 2015 by Ruth Jenni.